SAN LUIS OBISPO, CA, JANUARY 6, 2015â€“ Festival Mozaic is pleased to announce the appointment of new Operations/Personnel Manager David George to its staff and the election of three new members to its board of directors. Joining the diverse group of civic leaders who form the board of this nonprofit arts organization are Jano Kray, Jo Anne Miller and Michael Poyntz. New Operations/Personnel Manager David George grew up in a musical family in Arlington, VA. He started studying piano at age 5 and double bass at age 10. He received a bachelor of music in double bass from the Cleveland Institute of Music and a bachelor of arts in economics from Case Western. He attended graduate school at the University of Maryland where he earned a master of music while working on the staff of the National Orchestral Institute. Most recently, Dave served as the Assistant Personnel Manager at the Baltimore Symphony for the past two seasons. As a bassist, Dave has performed with the Baltimore and National symphonies, the Chautauqua, Pacific, Tanglewood, and Staunton music festivals, and the Grammy-nominated Inscape Chamber Orchestra. In 2009, he was selected as principal bass for the inaugural YouTube Symphony at Carnegie Hall. Dave and his wife Jessica, a preschool teacher and music therapist, are thrilled to have relocated to San Luis Obispo, where his family has roots â€“ he grew up vacationing in his grandmotherâ€™s Cambria beach house. Jano Kray is a native Californian who spent part of her childhood on the Central Coast before relocating to the Bay Area. 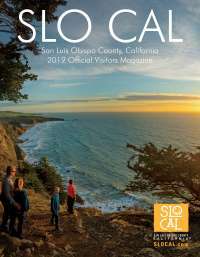 She returned to the Central Coast in 2010 and now makes her home in San Luis Obispo. After attending Northern Arizona University where she majored in English Literature, Jano started her professional career as a software developer at Bank of America in San Francisco. She eventually built a successful consulting practice specializing in information technology strategy and technical training. In addition to working with financial institutions, retail, and corporate clients, Jano spent 14 years at Stanford University working in the areas of fundraising/donor management, ecommerce, and information security. Jano has been a dedicated fan and supporter of Festival Mozaic since attending her first concert at Chapel Hill in 2010. She is a supporter of many cultural organizations in the county and has served on the board of ARTS Obispo. Jo Anne Heywood Miller is co-founder of SLO Seed Ventures and managing partner at Brown Dog Partners. After successful careers as an engineer and entrepreneur, Jo Anne began working in early stage investing in 2003 for Nokia Innovent, a seed-stage investing team within the Nokia strategy organization. In 2008 she was asked to start a west coast branch of Golden Seeds, a nation-wide angel network that invests in women-backed businesses across all sectors. In addition to Golden Seeds, Jo Anne also invests with Sand Hill Angels in the Bay Area and is a co-founder of SLO Seed Ventures, an angel group in San Luis Obispo. In late 2011, Jo Anne joined fellow San Luis Obispo investor/entrepreneur Jim Hale to form Brown Dog Partners, LLC, to commercialize research in the growing Agricultural Technology space. She joined the Founders Circle of the Cal Poly Center for Innovation and Entrepreneurship in 2010 and has been a member of the Cal Poly Engineering Deanâ€™s Advisor Council since 2011 and the University of Colorado Engineering Deanâ€™s Council since early 2014. Jo Anne currently serves as chair of the compensation committee of Synergy, Inc. in Chicago. She has a BS in Mathematics from the University of Michigan, an MS in Computer Science from the University of Colorado and an MBA from the University of Chicago. Mike Poyntz is a mortgage loan officer at Central Coast Mortgage. In his prior career he worked as an insurance risk advisor with RL Insurance and Associates and Morris and Garritano. He and his wife, Erica, a nurse, have lived in San Luis Obispo since 2009. They enjoy assisting local non-profit groups in the Arts and Community Development. He has a Bachelorâ€™s degree in Finance and Risk Management from Sacramento State University. When Mike is not discussing the intricacies of Real Estate finance with clients and other esteemed professionals you can find him either camping with Erica up in the mountains of California, enjoying great food and wine, or attempting to shoot par on a golf course somewhere on the Central Coast. Steve Bland, President; Warren Jensen, Treasurer; Mike Ritter, Secretary; Jeri Corgill, John Frey, John Gilbert, Gail Kammermeyer, Marti Jorgensen Lindholm, Anne Marr, Don Maruska, Juliane McAdam, Susan Branche Poteet, Dennis Schneider, and Bern Singsen. Tickets are on sale now for Festival Mozaicâ€™s WinterMezzo February Series. This popular music festivalâ€™s chamber music series will take place February 20-22, 2015, and will feature exceptional artists from across the country under the direction of the Festivalâ€™s music director, Scott Yoo. Featured guest artists include flutist Alice Dade, pianist John Novacek and cellist Bion Tsang. A special Benefit Concert featuring pianist Jocelyn Swigger will take place on Sunday, January 25, 2015, is sold out. To be placed on the waiting list, contact the office at (805)781-3009. The Festivalâ€™s 45th Anniversary Summer Festival will take place July 16-26, 2015. Complete season will be announced in March. For more information, visit www.FestivalMozaic.com. Photos and interviews available upon request. About Festival Mozaic: Festival Mozaic (founded in 1971 as the San Luis Obispo Mozart Festival) is a celebration of five centuries of music that takes place year-round in varied venues across San Luis Obispo County. The Festival presents musical performances by professionals across the world. The Festival is a nonprofit organization supported by individuals, foundations and businesses. For more information, please visit www.FestivalMozaic.com.